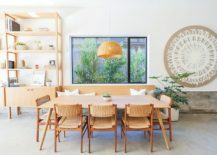 It is barely a surprise that Scandinavian style has so effortlessly gelled with contemporary decorating trends in the last decade or so. 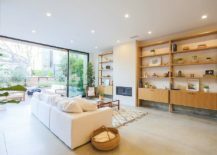 Inherently minimal, cheerful and incredibly adaptable, Scandinavian design influences have made their presence felt in homes across the globe. 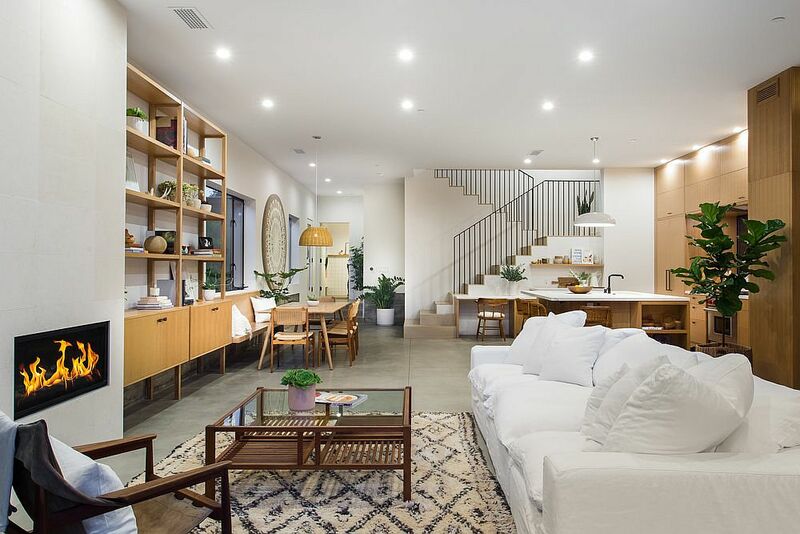 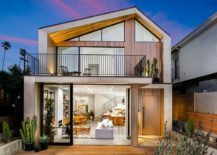 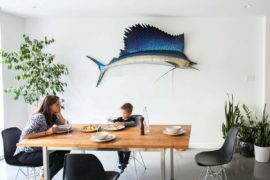 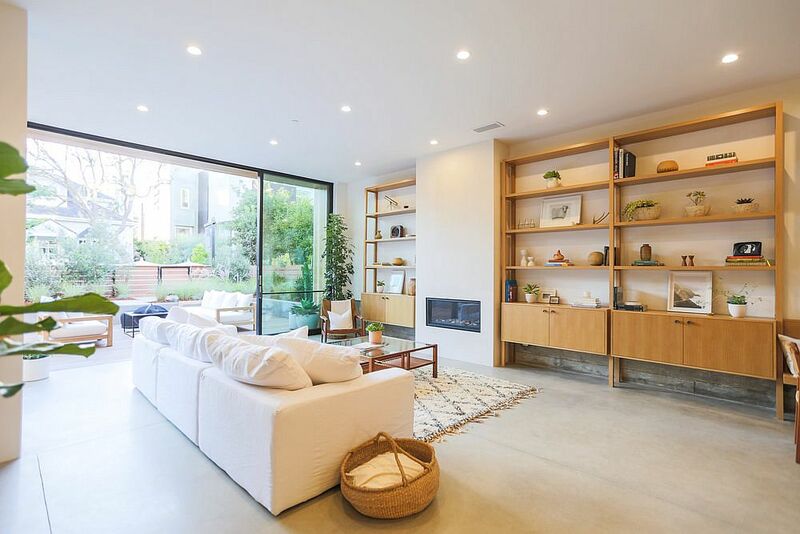 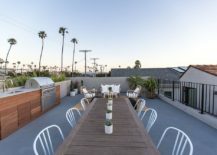 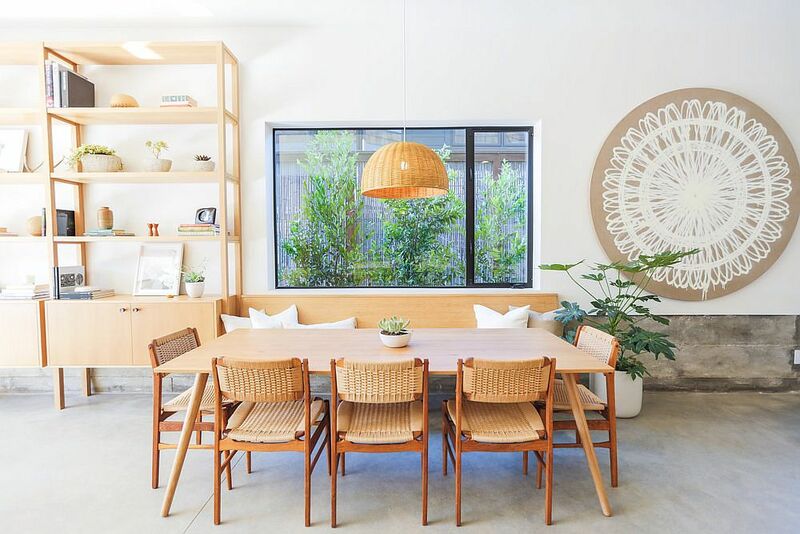 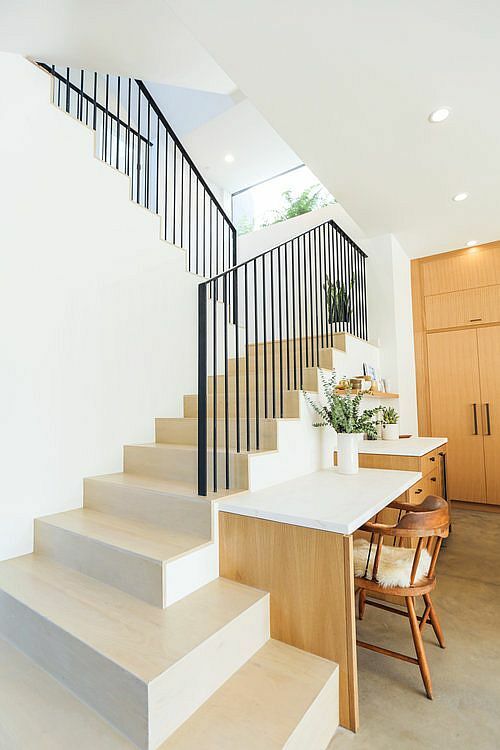 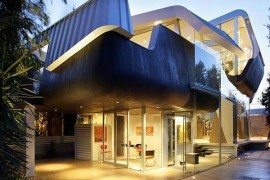 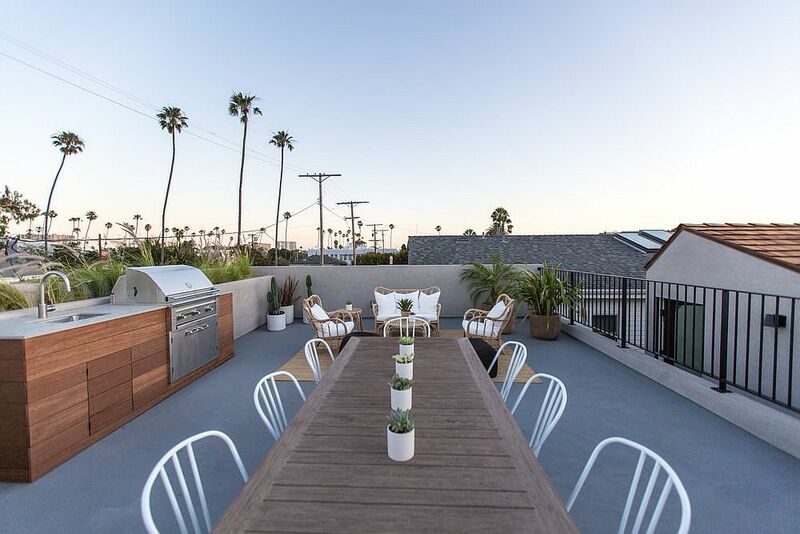 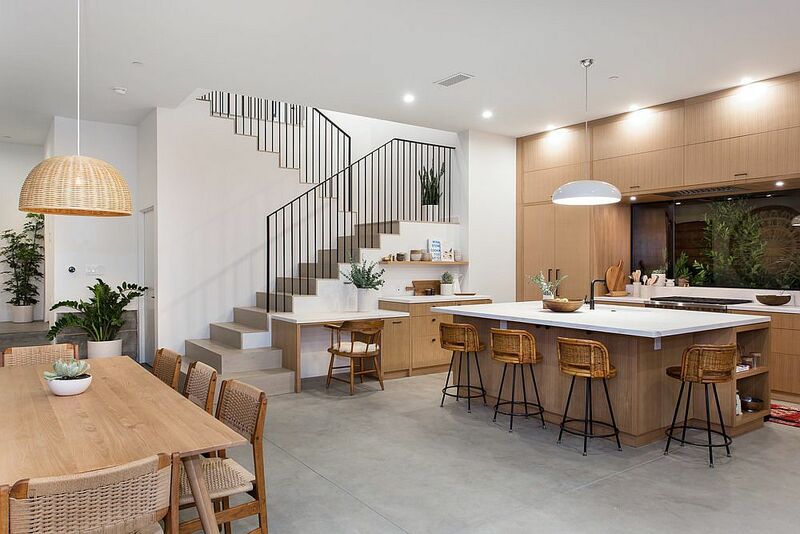 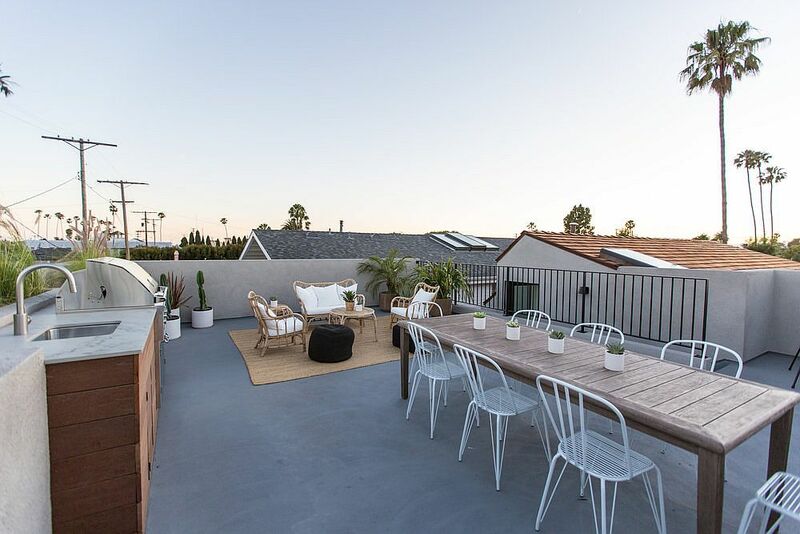 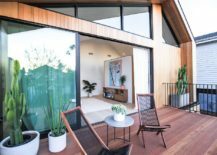 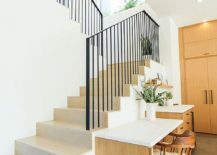 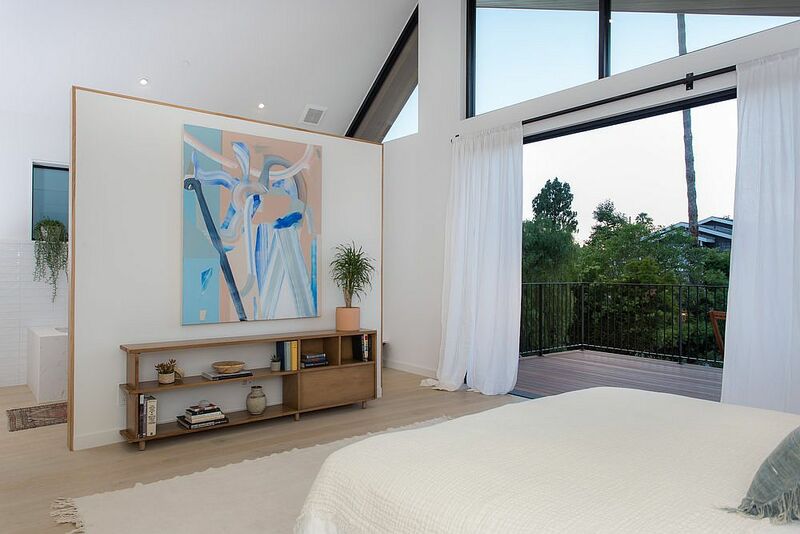 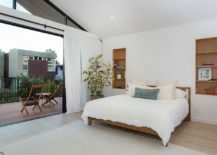 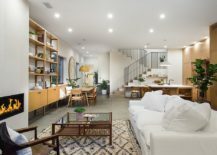 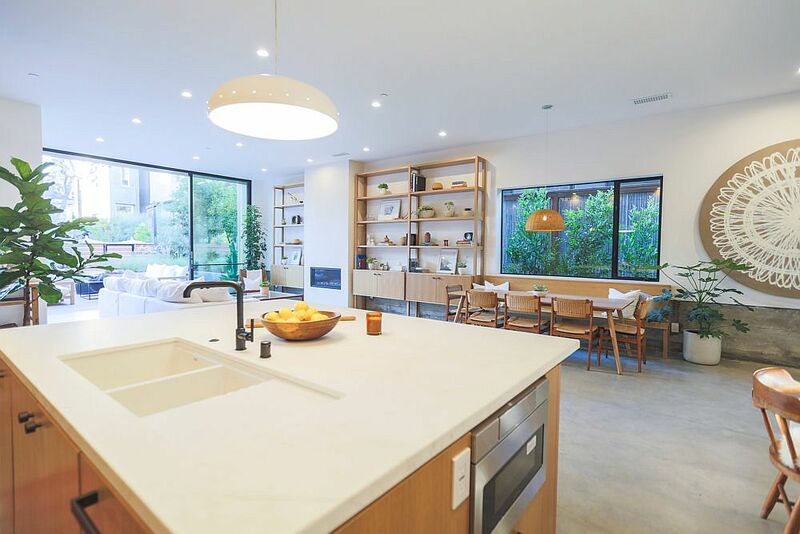 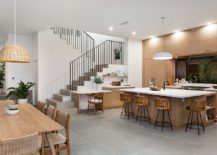 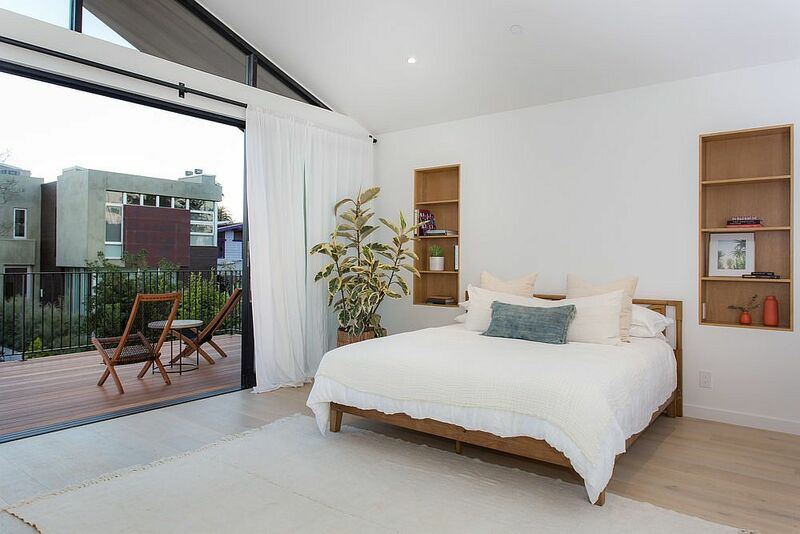 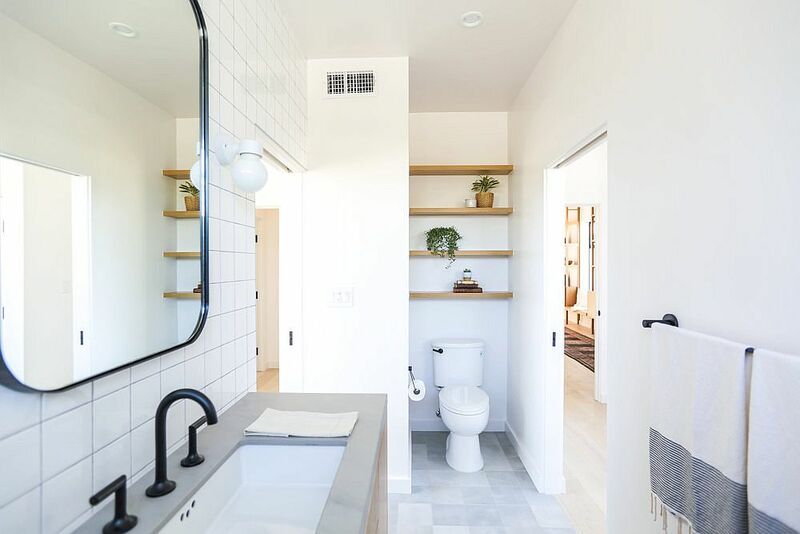 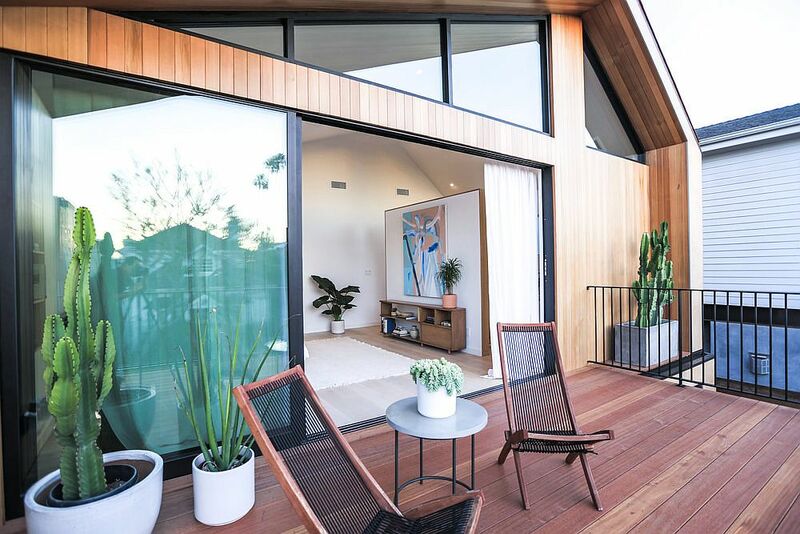 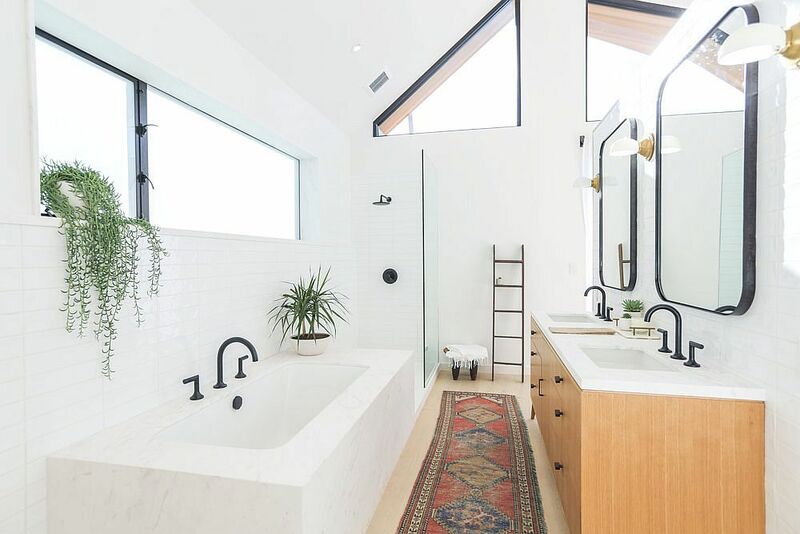 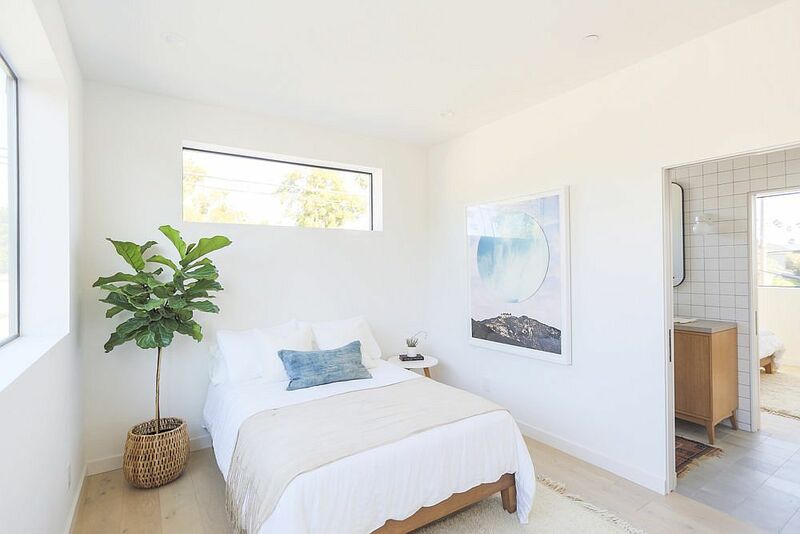 Today, it is the turn of a modern Californian Home in Venice Beach to experience the goodness of Nordic design at its breezy best as combined it with mid-century accents and modern ergonomics to create the inviting Amoroso Residence. 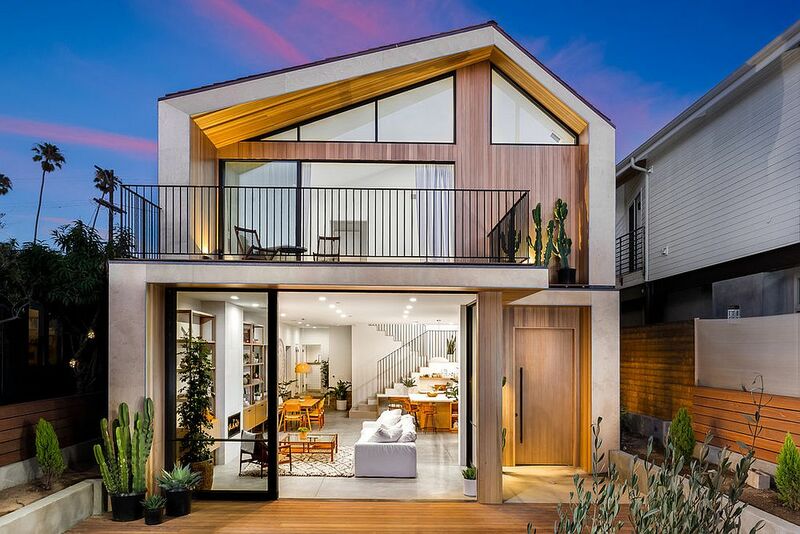 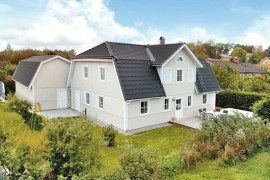 This dashing three-bedroom home welcomes you with an open plan living area along with a large outdoor living space and striking pitched roof! 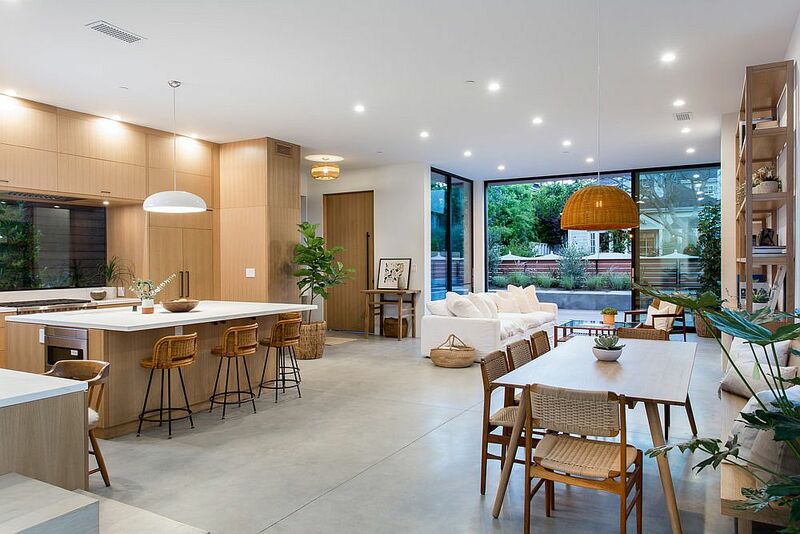 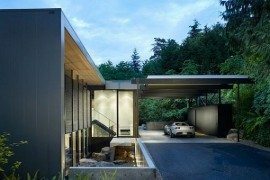 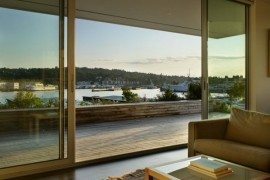 The transition between the living area indoors and the outdoor hangout is seamless thanks to the use of large glass windows and sliding doors. 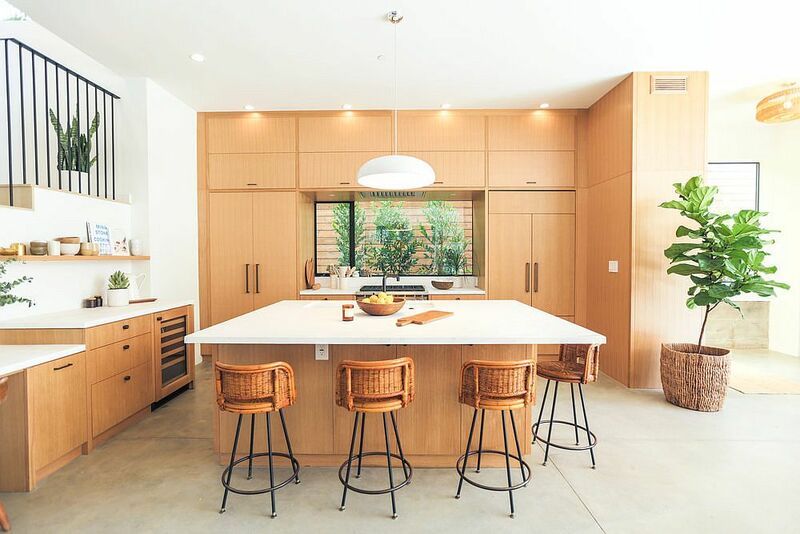 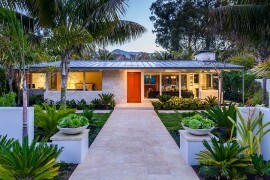 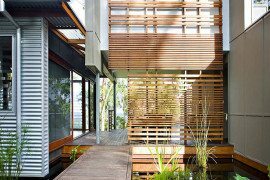 On the inside, it is a palette of wood and white that holds sway with color being used sparingly. 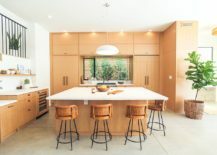 Custom wooden shelves bring warmth to the living room while wooden cabinets and island in the kitchen offer both textural and visual contrast. 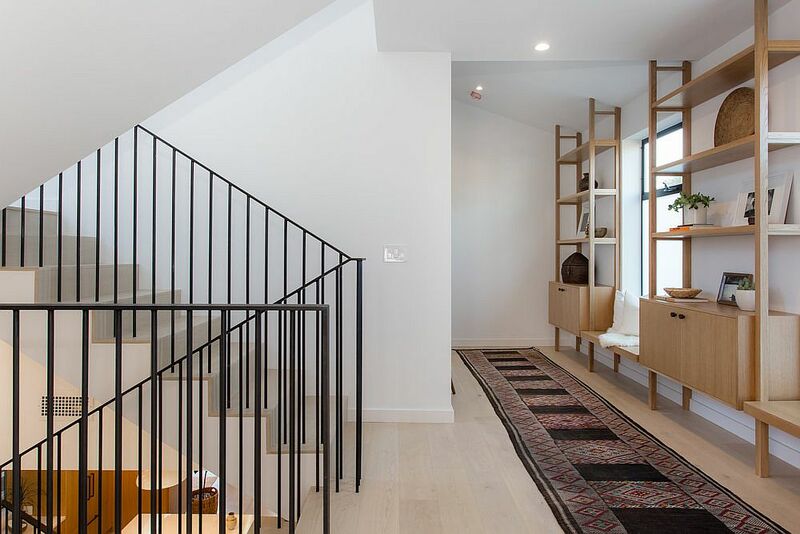 A stylish staircase leads to the top level which contains the bedrooms along with the master suite. 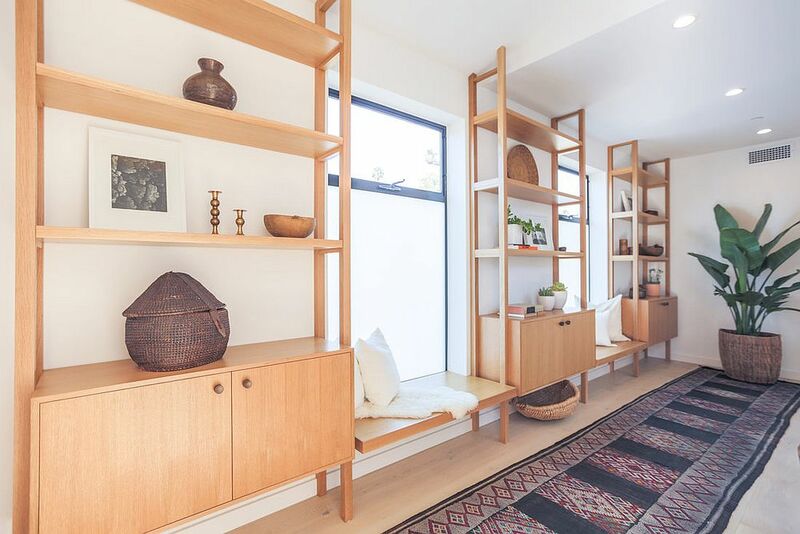 Smart shelving along with bespoke window seats maximize space here even as an abundance of natural light adds to the airy appeal.